At The Churchill School we make sure that our curriculum is designed to promote and embed these values into every member of our community. Courage, Determination, Integrity and Responsibility are vital for life long learning and essential tools for children to equip themselves with to be ready for the next stage of their education and beyond. Each member of #teamchurchill should aim to uphold these values at all times and more importantly role-model them to others. Where Will You See Our Values? The Children - The most important place you will find examples of our values being met is by speaking to the children themselves. Our children want to challenge themselves in every lesson, they want to do the right thing, to be good role-models and to keep going when things get difficult. The Books - There are elements of our values in every piece of work but sometimes there is such a clear example it merits special celebration. This could be with a class reward, a headteacher's award or by receiving a stamp from their teacher with one of our values on it. The Walls - Our corridor displays are well-known for their exciting and interesting designs. Our theory is that if we put time and care into showcasing the curriculum, the children are more likely to do the same. 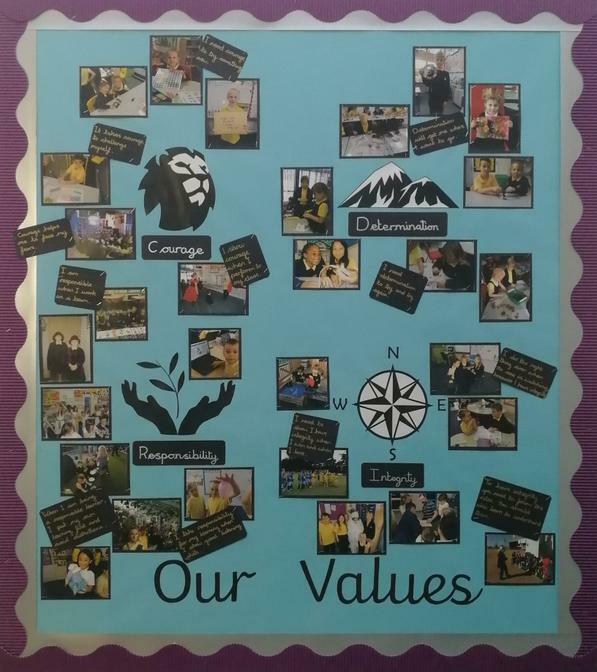 This shows that the adults in the school are thinking about our school values just as much as the children. The Finished Product - The ultimate example of how our school values shape our curriculum is by looking at the children who are closest to moving on. Our Year 6 children have been benefactors of our rich values based curriculum for longer than anyone else and are proof of its effectiveness. They are strong independent learners with good moral direction and they are absolutely ready for the challenges which lay ahead of them.